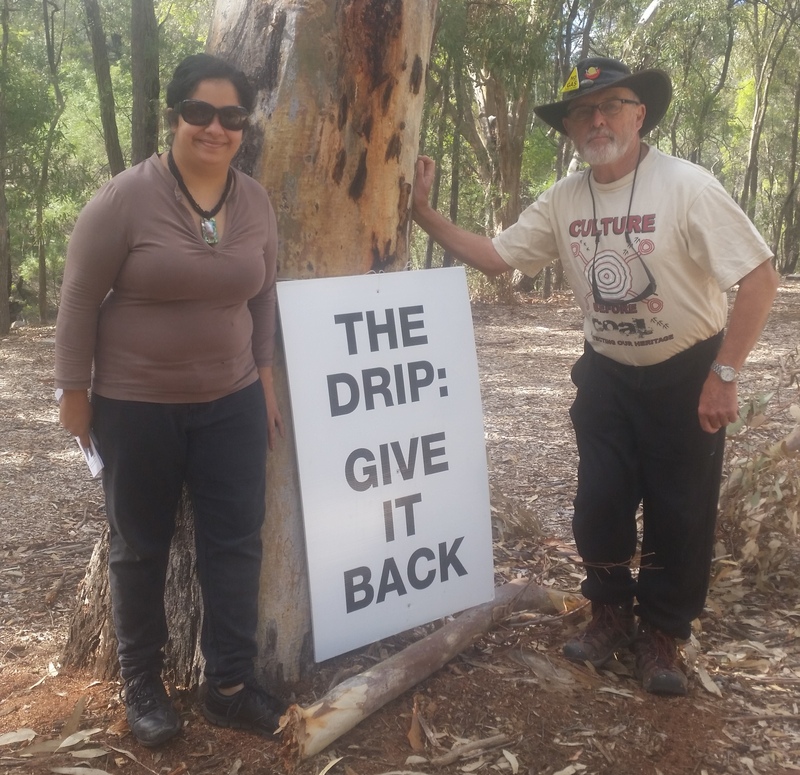 On Sunday 4th February, a beautiful cool morning, over 45 intrepid travelers with Lock the Gate Bus Tour met with MDEG members at the Drip picnic area closely watched by four car loads of Police! After hearing from Julie Imrie and Setchell about the latest impacts and future concerns for The Drip, everyone set off to see the Great Dripping Wall itself. It was very encouraging for MDEG/Save the Drip to see how many enthusiastically responded to the need to protect The Drip.